The performance of Serbia at this year’s Prague Quadrennial, called Process, was awarded the Gold Medal PQ 2015 for Provoking a Dialogue. The Serbian curatorial team won the award for its overall performance – Mia David, curator of the Serbian national section, for their work Power(less) – Response(ability), the curatorial team of student section led by Tatjana Dadić Dinulović, for their work Process or What DOES matter to me, as well as the author teams of both national and student sections. Prague Quadrennial is the most significant event in the field of scene design and performing space in the world. The award that Serbia won, has been established this year in order to emphasize the direction in which the Quadrennial has been transforming in the last decade and to indicate the possibility of its further development. Apart from that, this is the first time in the history of the Prague Quadrennial that Serbia has won a prize. 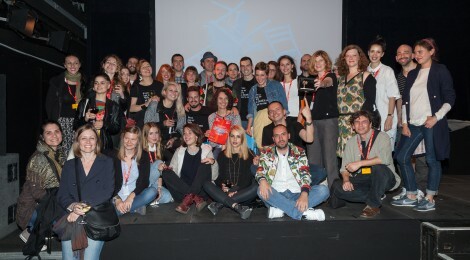 The performance of Serbia at the Prague Quadrennial 2015 was organized by the Museum of Applied Art in Belgrade and the Center for Scene Design, Architecture and Technology (SCEN) at the Faculty of Technical Sciences in Novi Sad, under the general patronage of the Ministry of Culture and Information of the Republic of Serbia and with the support of the Provincial Secretariat for Culture and Public Information of AP Vojvodina, and the Department for Architecture and Urban Planning of the Faculty of Technical Sciences in Novi Sad.